Columbia Memorial offers a network of Primary and Specialty Care Centers across Columbia, Greene and Northern Dutchess Counties. Patients who visit primary or specialty care doctors at any of our centers can access their healthcare information, including appointments and test results, at any time through the Primary and Specialty Care Portal. To pay a bill, patients are encouraged to use our online Bill Pay service. For help with access to our patient portals, please call (518) 828-8080 during regular business hours. 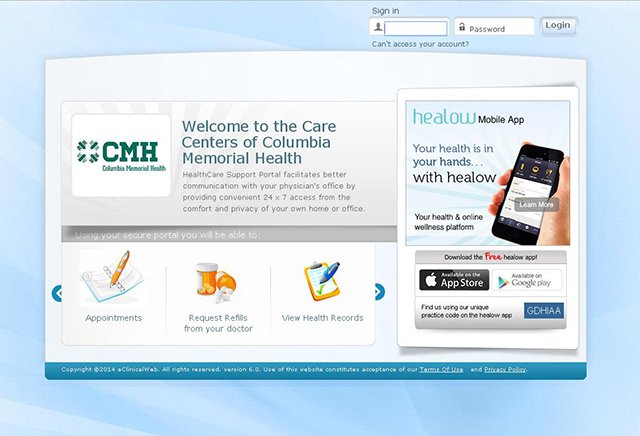 Before downloading and using the Healow App, you must first log into your Primary and Specialty Care account. Download the free Healow App for Apple® or Android® devices. Use your Primary and Specialty Care username and password and activate a special four-digit PIN. Use that PIN to access the App in the future. Get answers to frequently asked questions about the Healow App. 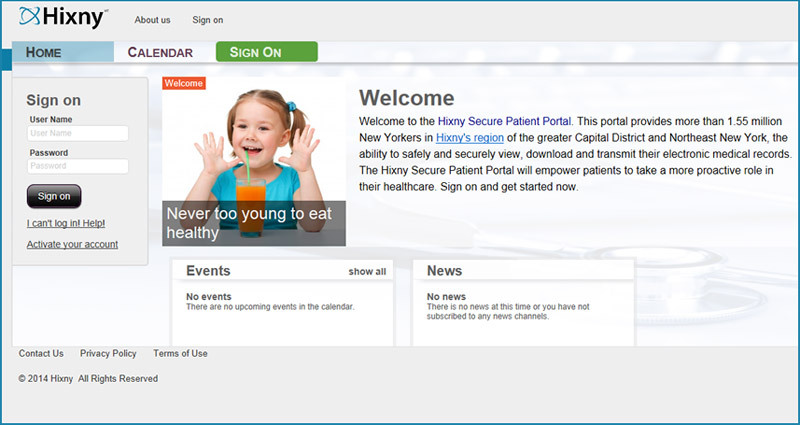 After you have been admitted to the Hospital and supplied your e-mail address, our partners at the Hixny Secure Patient Portal will send you a welcome e-mail. Follow the instructions in the e-mail to activate your account. After you have activated your account and set up a user name and password, you can log in to the Hospital Inpatient (Hixny Secure Patient Portal) at any time. In many cases, Hospital staff will work with patients and families to set up Portal access during their stay in the Hospital.